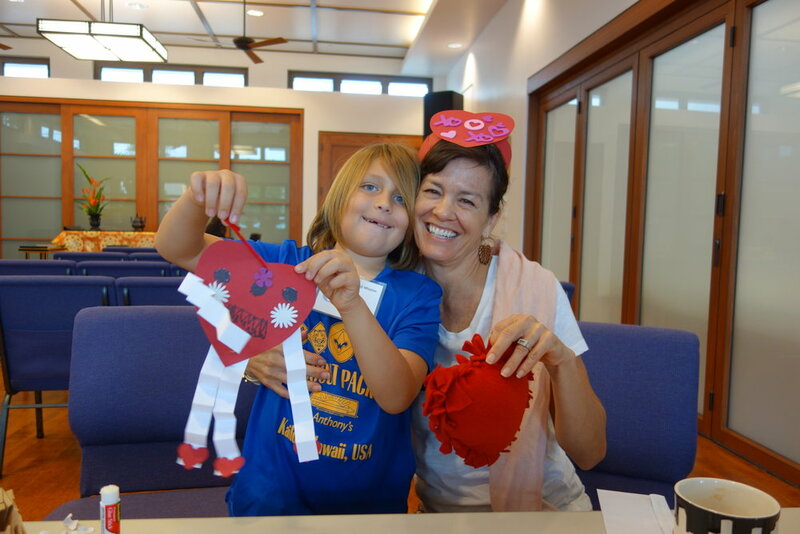 Kailua Hongwanji Mission celebrated its 4th annual Founders’ Day during the Sunday Family Service on February 25, 2018. 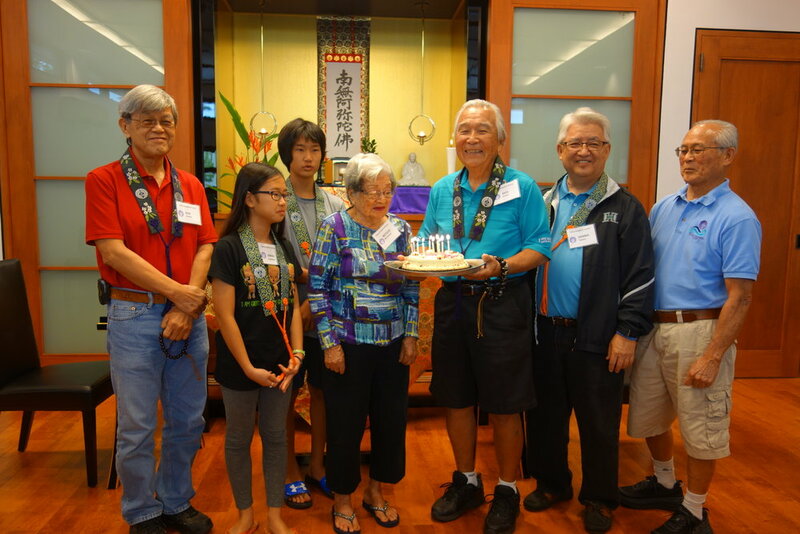 It is a day to remember our past lay leaders for all that they have done over the years – from the founding of our temple in 1968 – to make Kailua Hongwanji Mission what it is today. In his Dharma Talk, Rev. 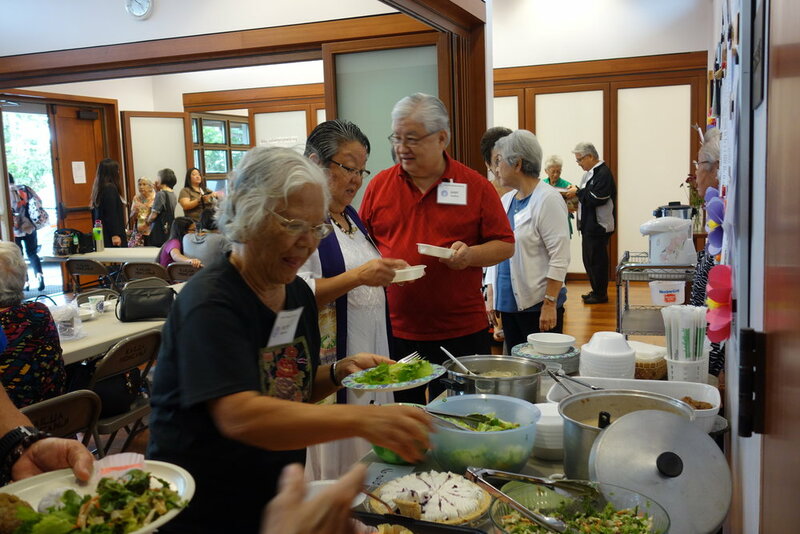 Kevin Kuniyuki mentioned that we should remember the founders of Kailua Hongwanji Mission and express our gratitude for what our temple is for all of us today – a wonderful place to listen to the Dharma and to enjoy fellowship with the temple Sangha. Rev. Kuniyuki also shared some numbers related to the Dharma teachings and their significance: 3 Treasures, 4 Noble Truths, 8-fold Path and 3 Poisons. The temple members thanked Rev. 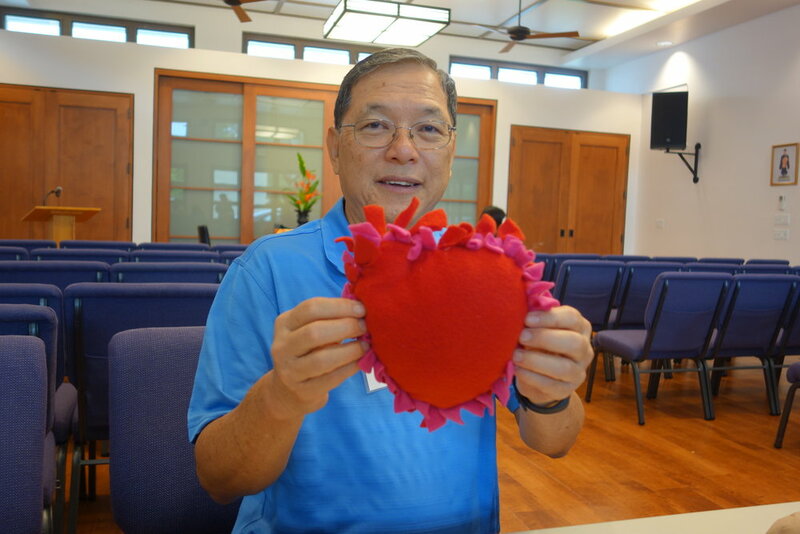 Kuniyuki for serving as the interim temple minister during January and February and expressed appreciation for his presence as a minister and a friend of Kailua Hongwanji Mission. The members also expressed their gratitude to Mrs. Dayle Kuniyuki for attending the services whenever Rev. Kuniyuki conducted the Sunday Services. For today's Dharma Talk, Rev. Kuniyuki reviewed a fundamental teaching of Jodo Shinshu Buddhism, the Four Noble Truths. 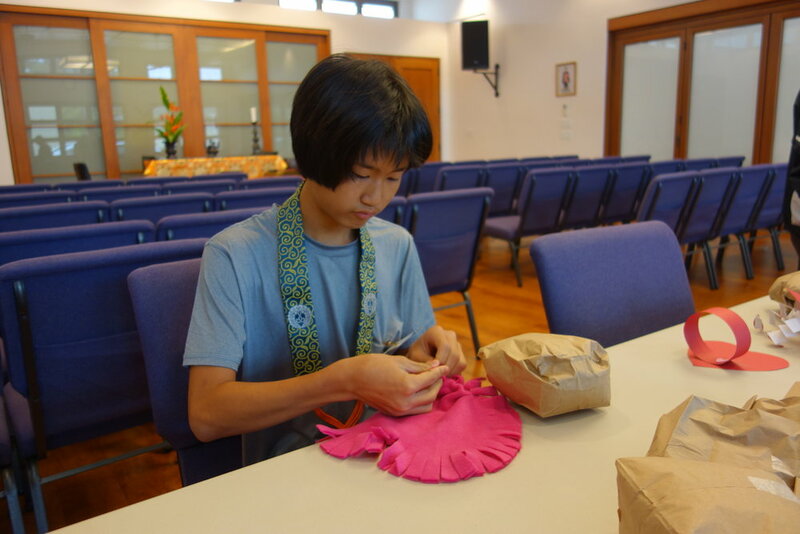 After the service, the sangha participated in First Sunday Family Activities. 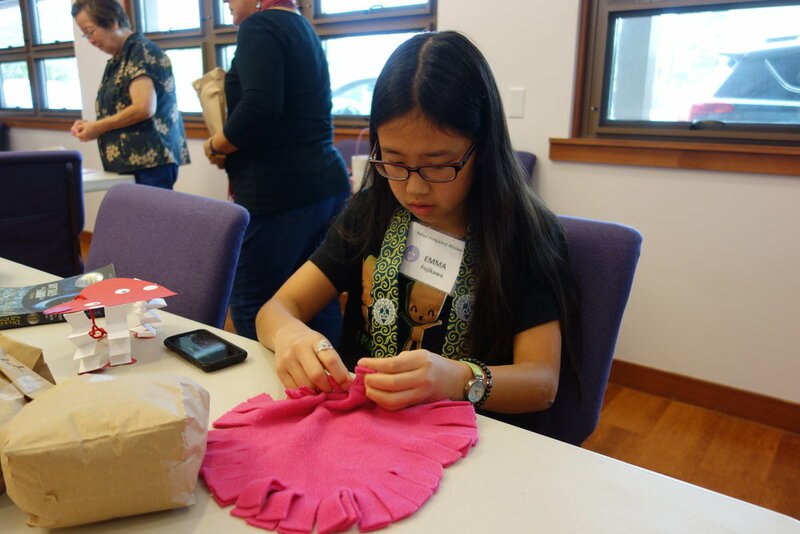 This month, members young and young-at-heart enjoyed a variety of Valentine's Day-themed crafts including valentine visors and heart-shaped pillows. We celebrated February birthdays. Happy birthday! The Hoonko Service is the annual memorial observance for Jodo Shinshu's founder, Shinran Shonin. With his Hoonko Dharma message, Rev. Kuniyuki took us back over 750 years ago and the evolution of Shin Buddhism. Rev. Kuniyuki gave us a homework assignment. As a Shin Buddhist, what's my take on the missile false alarm that occurred on January 13? Rev. Kevin Kuniyuki of the Buddhist Study Center has been temporarily assigned as overseer minister of Kailua Hongwanji Mission during the months of January and February 2018. Welcome Rev. Kuniyuki! For today's Dharma message, Rev. Kuniyuki shared the story of how and why he became a Shin Buddhist minister. Over the next couple of months, Rev. Kuniyuki's Dharma messages will cover the Four Noble Truths and the Eightfold Path. Members with birthday in January were recognized and celebrated. Happy birthday! 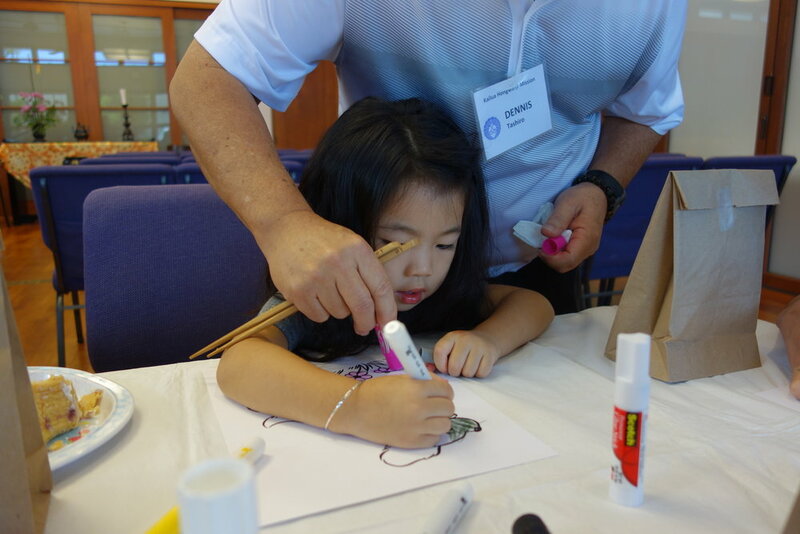 Following the service and refreshments, we participated in a couple of First Sunday craft activities. We painted "Year of the Dog" posters, which were put on display in the temple. We also made fire-breathing dragons using toilet paper rolls and streamers.